A Performance Solutions (formerly ‘Alternative Solution’) is an alternative assessment method to the straight BCA Deemed-to-Satisfy (DTS) Elemental Provisions method. It provides for buildings that are unique for example; using new technologies, non-standard construction, extensive glazing, etc, to be assessed as a whole building, rather than individual components as per the DTS approach. This ability to compare energy efficiency at the building level provides much greater flexibility and a wider choice of design options. On-site power generation may be considered in compliance assessments under the BCA, so long as the source is from a renewable class of power generation– eg solar, wind, hydro, etc. If your project has a large energy consumption or perhaps you would like to reduce your power costs into the future, then renewable on-site power generation may be of benefit to your project. 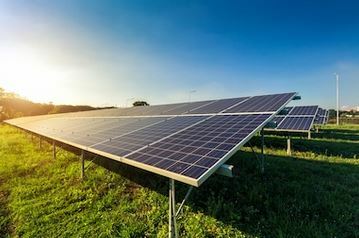 GreenForm Energy is accredited with the Clean Energy Council (CEC) as a PV solar system designer and is able to design and specify solar power generation systems. This may be for compliance or for lowering energy bills on a proposed building. The necessary reports can also be provided where documentation is required to form part of a BCA compliance assessment. For buildings not complying with the DTS provisions of the BCA, one of the alternative methods of compliance is via a Verification Using a Reference Building (VURB) assessment. This alternative verification method compares a DTS compliant “reference” building, against the design “proposed” building. The two buildings are modelled and simulated in thermal software to determine the total energy consumption over a full year. When the “proposed” building outperforms the “reference” building (i.e uses less energy), it is deemed to comply with the BCA. There are many benefits to Verification assessments. This is mainly derived from the ability to consider the building as a whole, instead of individual components in isolation. This provides much greater design flexibility and the ability to trade performance between different building elements. This in turn results in building specifications that can provide savings in construction costs whilst retaining the design intent.